Hannibal Barca (ca 247-183 B.C.) - From the ashes of the First Punic War, there arose a new threat to Rome. As a nine year-old boy, Hannibal Barca begged his father, Hamilcar, to take him along on his expedition to Iberia. The elder Barca agreed, but not before making his son swear an oath to be Rome's eternal enemy. He not only took that oath, but he fulfilled it as well. Hamilcar was a very able general, and trained young Hannibal in the tradition of war. He died in 228 B.C. and was succeeded by his son-in-law, Hasdrubal (Hannibal's brother-in-law). When Hasdrubal was assassinated in 221, Hannibal was ready to step in as the military leader. He completed the conquest of Spain, south of the Ebro River, which was the line of demarcation between Rome and Carthage as the result of a treaty Hasdrubal made with the Romans years earlier. Rome, concerned about Carthage's expansion into Iberia, but not wanting to violate the treaty, made an alliance with Saguntum, a Celtiberian city south of the Ebro. Hannibal considered this a violation of the treaty by proxy and attacked Saguntum in 219, capturing it after an eight month siege. Rome demanded retribution, but the Punic government refused to mete out any. Early in 218 B.C., Hannibal crossed the Ebro in direct violation of the treaty and the war was on. Rome dispatched an army to Hispania, expecting the war to take place there, or at worst, in Transalpine Gaul (France). But Hannibal had other plans. 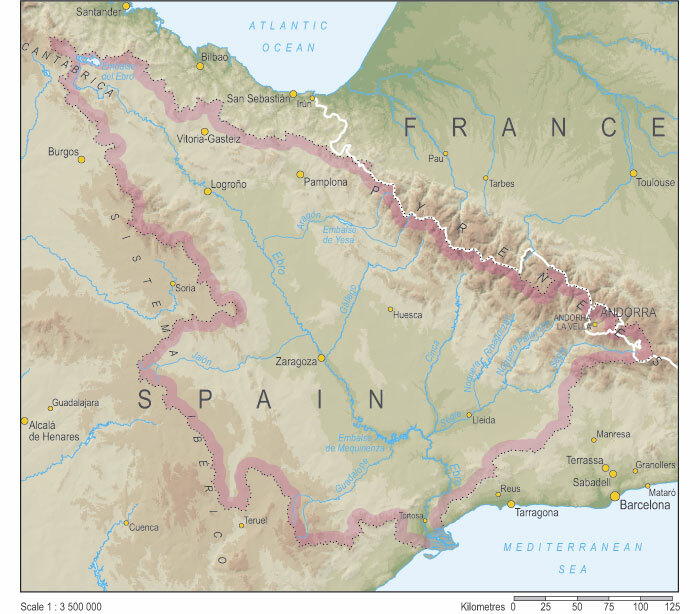 After crossing the Ebro, he did not intend to stop until he set foot in Italy. Of course, that meant crossing the Alps, which was one of the most ambitious plans imaginable for an army in ancient times. Before he could even get there, he had to cross the Pyrenees, the Rhône River, as well as contend with several hostile tribes along the way. He did all of these with remarkable efficiency. The Roman army, under Publius Cornelius Scipio, took no chances and landed in southern Gaul to make sure it cut him off in time. But it was too late. Hannibal had already crossed the Rhône and marched inland, hoping to leave the Romans behind. Now Scipio was well aware of what Hannibal intended to do and hurried back to Italy, not knowing whether the Carthaginian would survive or die in the Alps. History records that he did survive the crossing, but at great cost, losing up to half his army along the way. The amount of time and exact route he took are not known. Polybius says it took 16 days for the Carthaginians to cross the Alps, and they had to fight several Celtic tribes along the way. Exactly what happened is uncertain as the Roman writers can only speculate, but with so many deaths and so few provisions, it is likely that the soldiers had to resort to cannibalism, as well as eating horses and even elephants as they died, in order to survive. We know that the total amount of time it took from when he left Carthago Nova until he entered the Po Valley was about five months. Most historians and military experts agree that one reason the Carthaginians were so successful in Italy is because they simply had no other choice. Unless they could win, it was going to be a one-way trip. They relied on Hannibal's military genius to keep them alive and he didn't disappoint. After overwhelming victories at Trebia, Lake Trasimene and Cannae (see Second Punic War), Hannibal Barca was living up to his family name (which means "thunderbolt") and the destruction of Rome was at hand. However, total victory never came. Rome refused to surrender, its people remained unified against the Carthaginian threat and, after 15 years, finally wore Hannibal down. He was never able to conquer Rome itself (never even made an attempt on it); the most commonly cited reason is because he lacked the siege equipment necessary to penetrate its defenses. And while Rome eventually allowed him to roam freely in its back yard, it was slowly destroying his ability to wage war in Italy, and slowly made gains in Carthaginian terrirtory; first in Iberia, and finally in Africa. 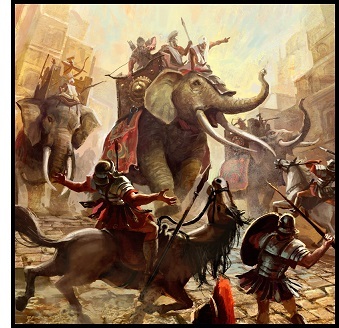 The Second Punic War concluded after the Battle of Zama in 202 B.C., but Hannibal survived for another 19 or 20 years. When Carthage was reduced to little more than a client state, he headed east to try to convince the Seleucid Empire to make war with his enemy. Rome learned of his plans and sent emissaries to Antioch to investigate. Hannibal fled to several kingdoms to try to avoid capture. Finally, when Prusias I of Bithynia agreed to turn him over to the Romans, it's believed he committed suicide around 183 to avoid falling into their hands (incidentally, his great rival, Scipio Africanus died the same year). Hannibal Barca would have to be considered one of the greatest generals of all-time.